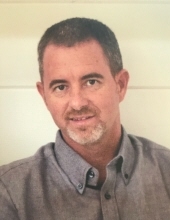 Larry Robert “Robbie” Todd, age 46, husband of Candace Vaughn Todd, died Tuesday, Aug. 28, 2018 at the Compassionate Care Center in Richmond. Robbie was born July 6, 1972 in Berea, Ky to Larry F. and Wanda Phelps Todd. Robbie loved boating on Cumberland Lake, loved live music especially bluegrass, golf, UK basketball and working in his spare time. Robbie was Co-Owner of Todd’s Towing and KY Auto Parts. He was a member of Emmanuel Baptist Church. Robbie was preceded in death by his maternal grandparents, Ora and Beulah Phelps, paternal grandmother, Lona Woodall and his mother-in-law, Faye Powell. Other than his wife and parents he is survived by his children, Hadlee Grace and Hudson Robert Todd, his sister, Kellie Todd Beavers her husband and daughter, Billy and Brooklyn, Paternal grandparents, Johnny and Mary Lee Todd, his fathers-in-law, Gerald Powell and James Vaughn, Sister-in-law, Mandie Powell Gay her husband Justin and sons, Ethan, Drew, and Rylan and a nephew Cameron Vaughn. A host of aunts, uncles, cousins and friends also survive. To send flowers or a remembrance gift to the family of Robbie Todd, please visit our Tribute Store. "Email Address" would like to share the life celebration of Robbie Todd. Click on the "link" to go to share a favorite memory or leave a condolence message for the family.